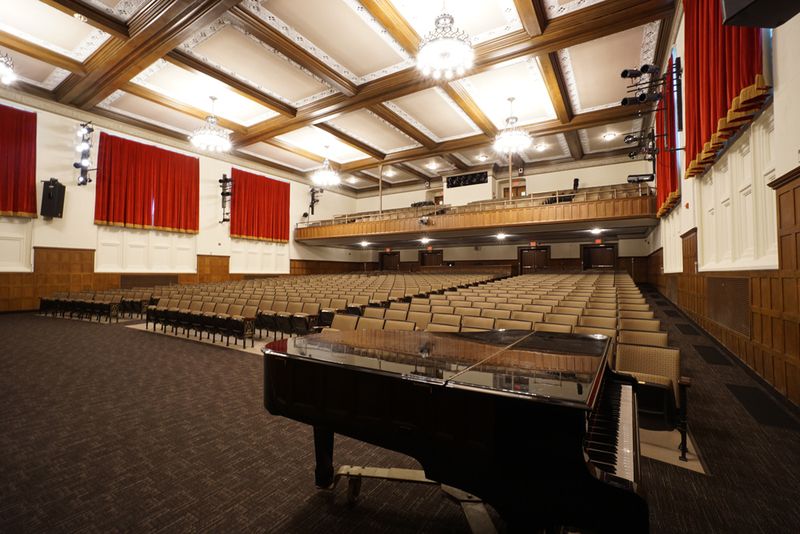 EI Associates is proud to announce our recent award of the NJ AIA 2015 Honor Award in the category of Built Historic Preservation for the restoration design of the LCJ Middle School Auditorium for Summit Public Schools. 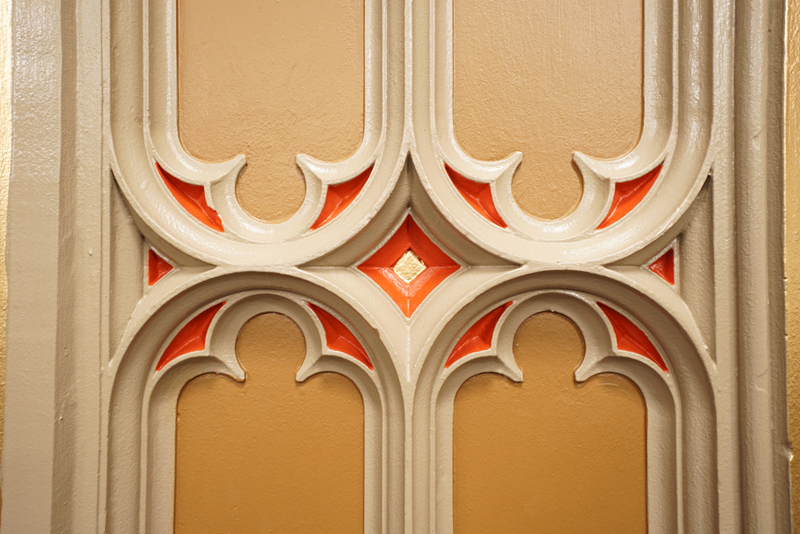 The school was originally designed by AIA chapter president and collegiate gothic expert, James Betelle, architect responsible for many significant public schools and civic structures in the Northeast including neighboring NJ public school districts such as South Orange-Maplewood and Newark. 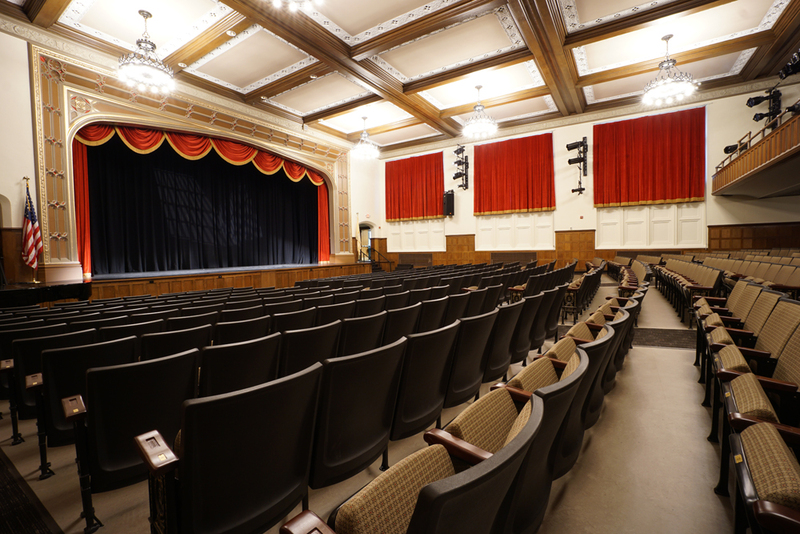 The goal of this project was to restore the auditorium to its original 1920’s condition while thoughtfully integrating modern systems and amenities to serve the District well into the future. 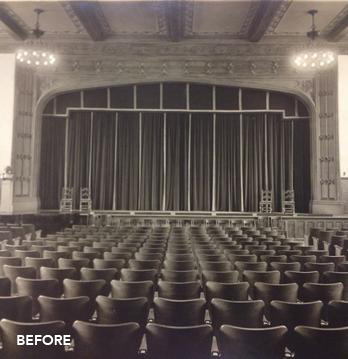 The scope covered the replacement of non-original seating with new upholstered wood seating which is designed to reflect the original 1923 wood and cast iron seating, new flooring and paint finishes and the restoration of existing wood paneling, coffer ceilings and ornate plaster moldings. 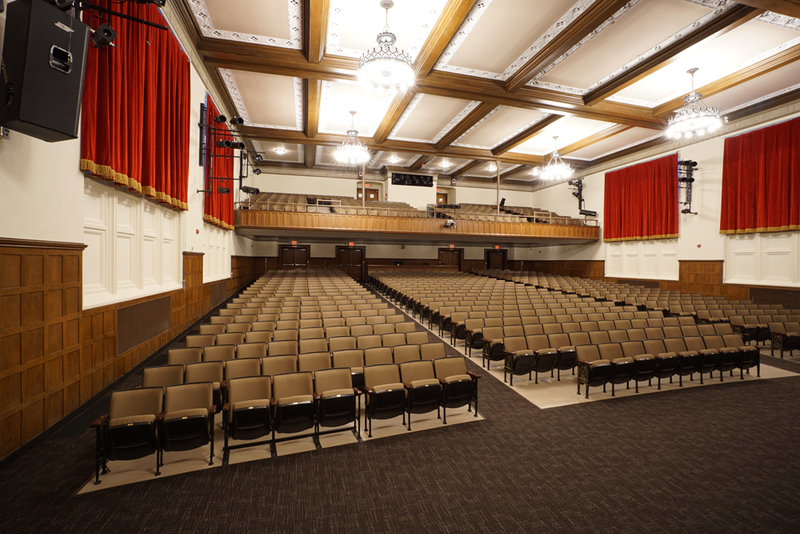 The project also included the restoration and modernization of six bronze chandeliers which were each re-lamped with 24 energy efficient, and dimmable LED fixtures with new lighting controls. 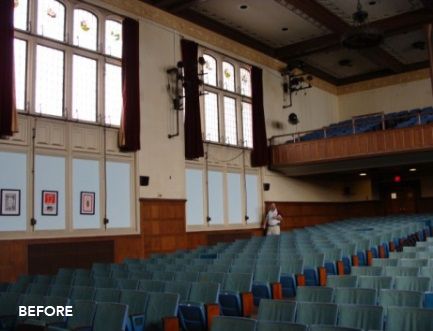 Non-original recessed light fixtures were removed. 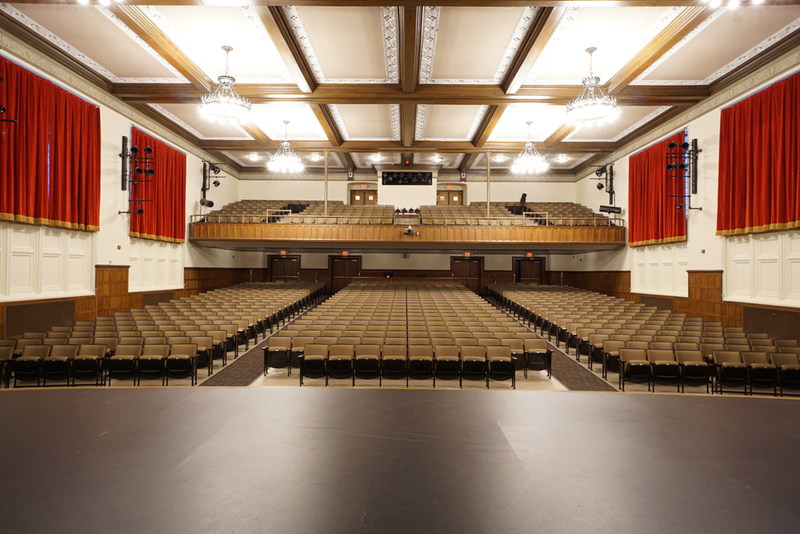 New, state-of-the-art rigging and stage lighting, new stage flooring, stage curtains and window treatment was also installed. 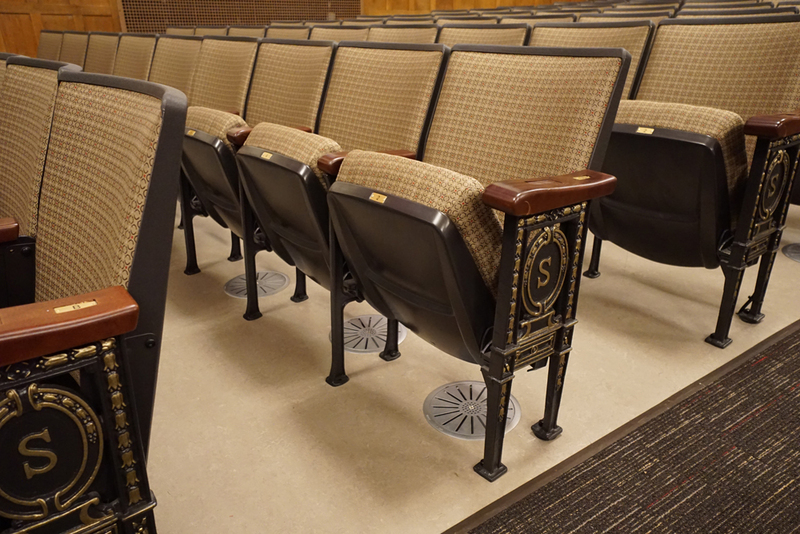 An existing underfloor duct system was cleverly repurposed to inconspicuously support a modern air conditioning system. 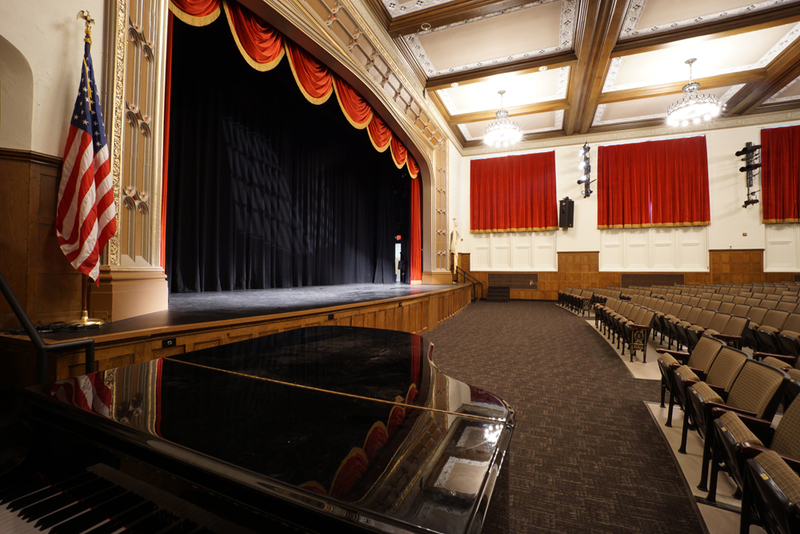 We hope this restored masterpiece continues to serve many future generations of Summit students.